2013 is the 40th anniversary of the release of Dark Side of the Moon. This poster shows some great variations of that Pink Floyd album cover. Storm Thorgerson designed the original Dark Side of the Moon album cover. 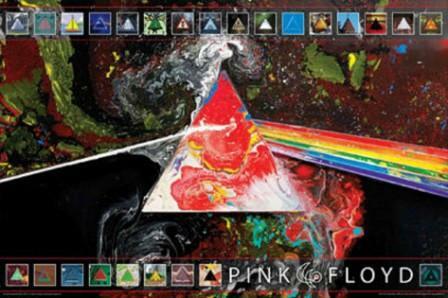 The poster measures approximately 24" x 36", and is officially licensed Pink Floyd merchandise.